Bring your boats, RV, Jet skis, antique cars and all the other toys. 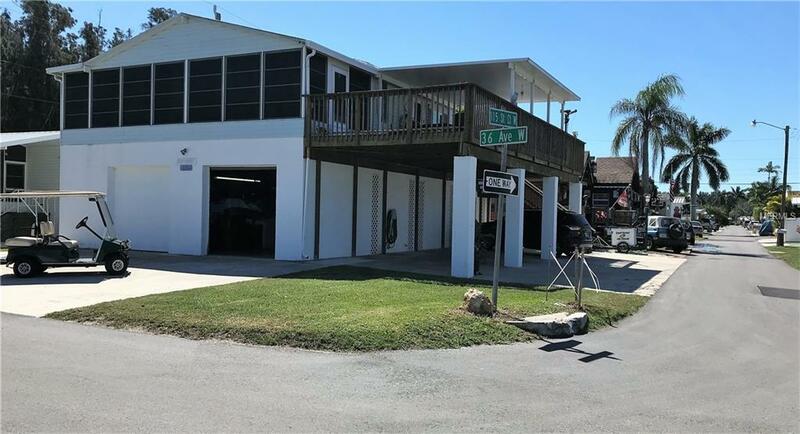 This well cared for 2 bedroom 2 bathroom manufactured home is located directly across the street from the Parrot Cove marina boat ramp and was built on a 5-6 car garage with an additional parking for 5-7 vehicles. Enjoy boating, fishing, kayaking, paddle boarding or just sit back and take in the spectacular views that this "Living in Paradise home has to offer. Built in 1993 with a new roof in 2009 and new A/C system in 2018. The beautifully remodeled kitchen is the center of activity with granite counter tops, wood cabinets, back splash, lighting and an oversized custom designed island and breakfast knook perfect for baking, cooking or entertaining friends and family. Appliances just three years old. 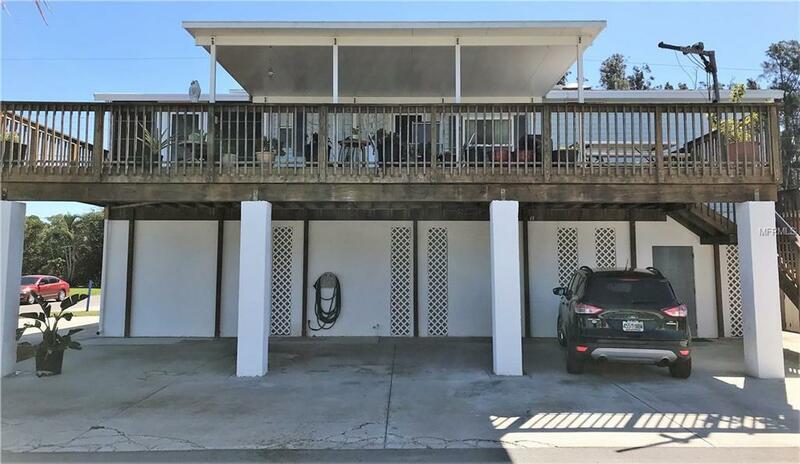 The huge wrap around deck provides a great place to relax, enjoy sunsets and beautiful views of Palma Sola Bay. Sunny Shores has its own water company and is a pet friendly community with no mandatory association monthly fees (voluntary $80.00 annually for clubhouse and recreation activities). The historic Village of Cortez is steps away which offers the Maritime Museum, shops, great restaurants featuring fresh Catch of the Day meals and indoor/ outdoor musical entertainment. 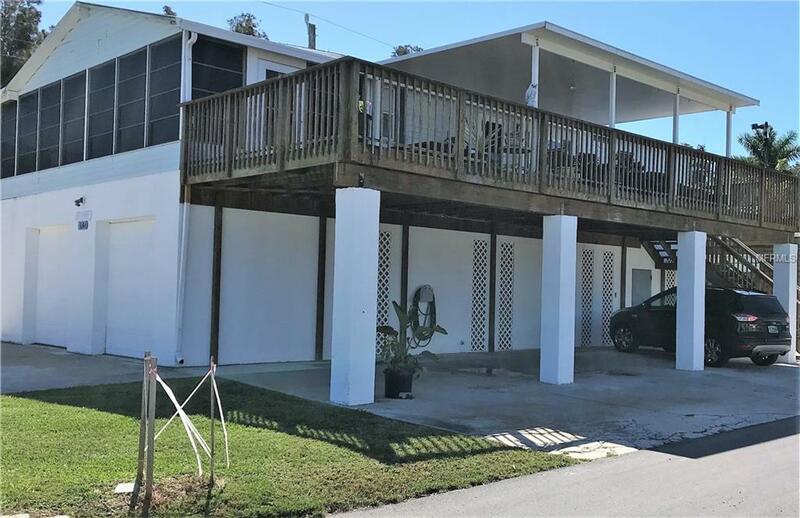 Only a short distance to the renown beaches of Anna Maria Island. 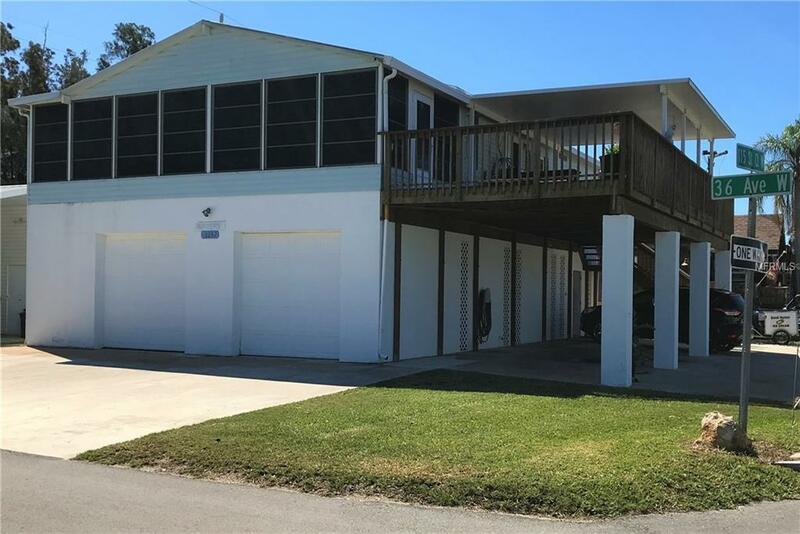 Location, Location, Location fantastic gulf views with plenty of room for friends, family and ALL the toys. (more pictures coming soon).